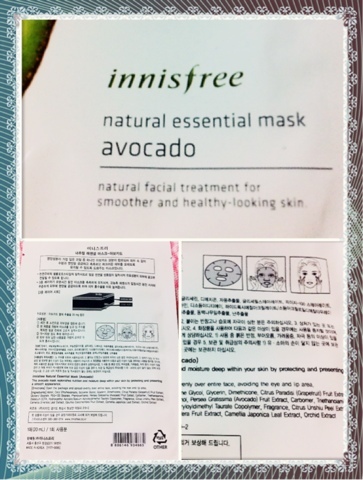 I have been naughty and been skipping my weekly facial mask routine lately, but last week I did put on one face mask, and it's the Innisfree Natural Essential Mask in Avocado. 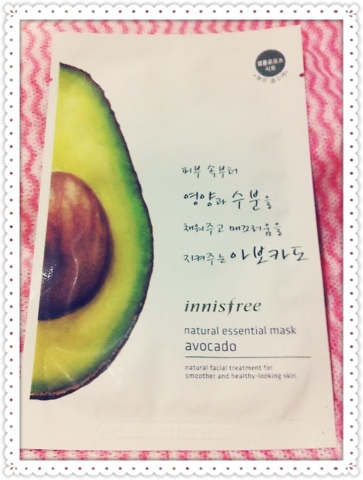 This is the first time I tried Innisfree sheet mask, actually this is the first time I try Innisfree product! Innisfree is one of those well-known Korean beauty brand that boasts the benefits of nature from the pristine island of Jeju in Korea, they pursue an eco-friendly green life to preserve the balance of nature, so that's why their products are made from natural ingredients and eco-friendly. Natural Facial Treatment for smoother and healthy-looking skin. This avocado mask replenishes nutrition and moisture deep within your skin by protecting and presenting a smooth appearance. 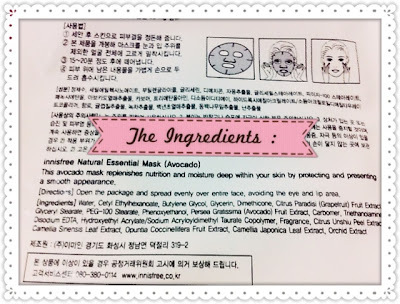 It is a mask-sheet type and what I noticed first is how many essence it had in the mask and in the packaging. When I pull out the mask there were still a handful amount of leftover essences in the bottom of the packaging. The sheet is probably one of the thinnest sheet mask I've ever tried, and it was fully submerged with rich essence. 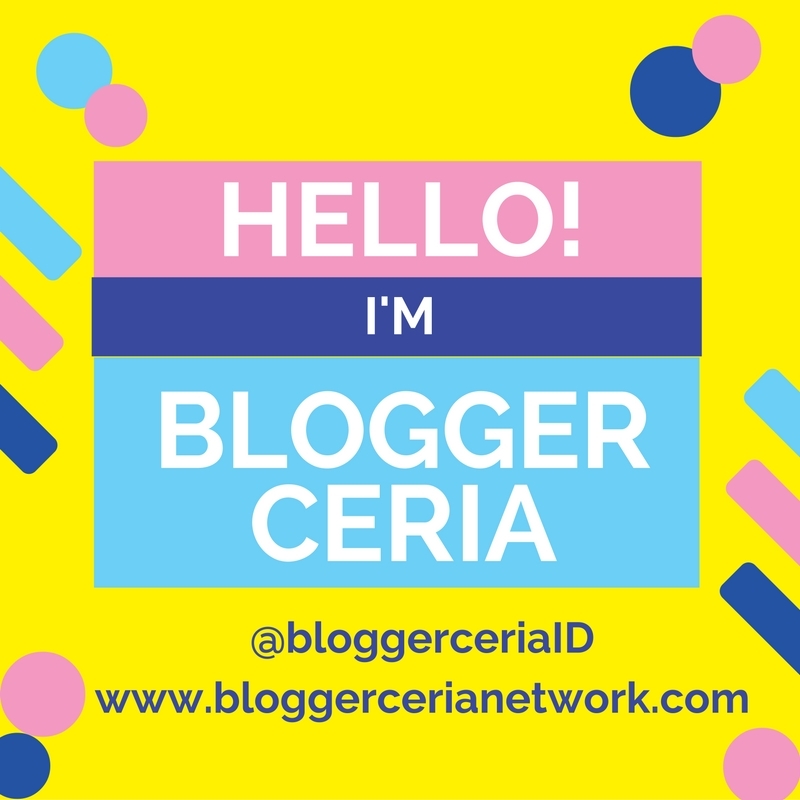 When I put it on I felt an instant cooling and refreshing feeling on my skin. 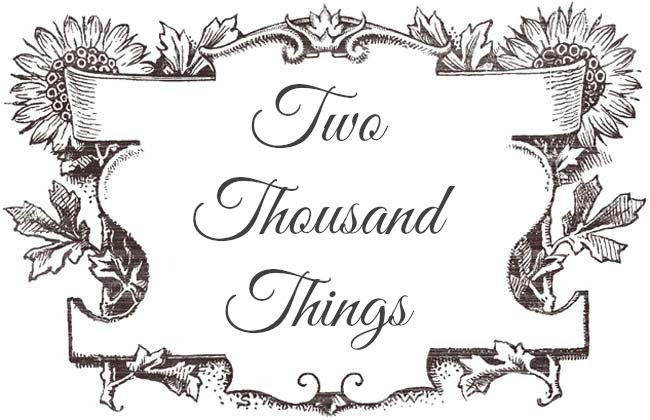 The thin sheet already has much essence on it that when I put it on and lie down on my bed there were some drips that falls into my neck (minus point). Leave it on for 15 to 20 minutes, and then take it off and massage in the extra remaining essence on your face in circular motion until it's absorbed by your skin. My face feels good and refreshed instantly! 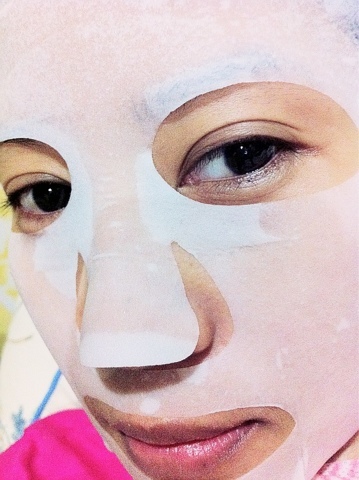 It felt really well-moisturized and the cooling effect lasts until I fell asleep. The surface of my skin is smoother and more radiant. 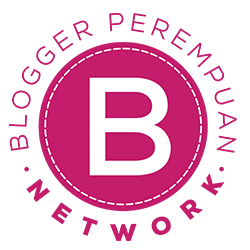 It erased my dull complexion and gave me a radiant and fresher complexion instead. 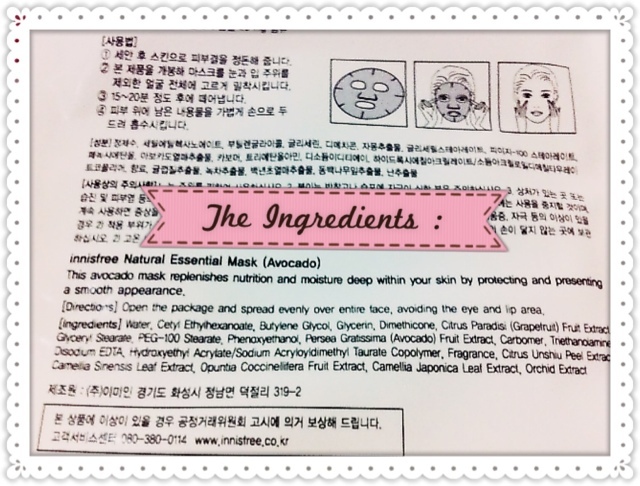 The idea of an avacado sheet mask sounds nice! I might actually go and buy some myself now ^^ You must've felt so refreshed after it!